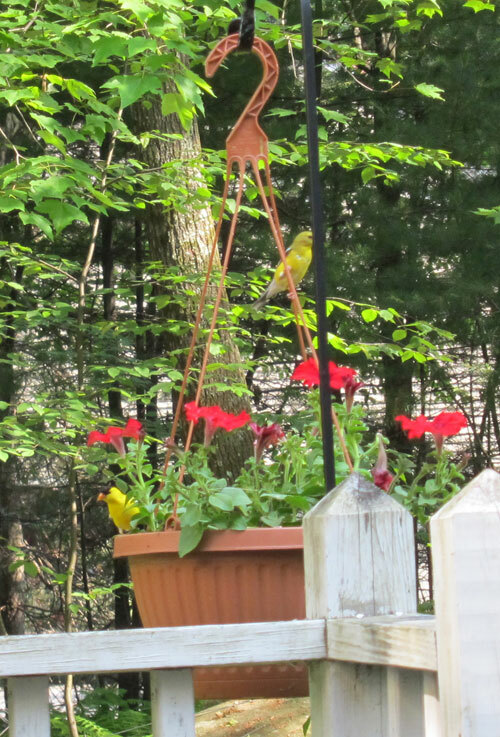 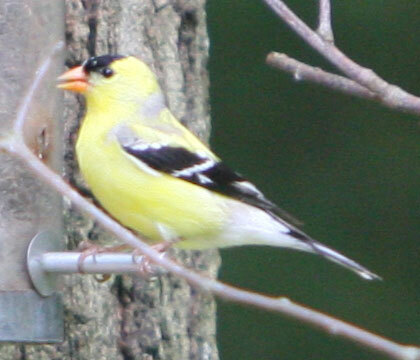 For many, the bright yellow goldfinch is a herald of spring. 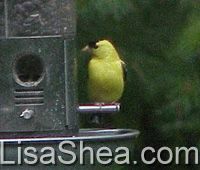 The males are a golden yellow during mating season, while the females are a duller yellow-brown color. 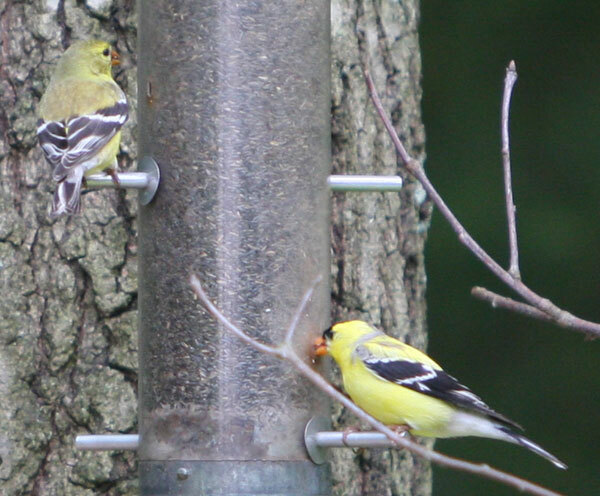 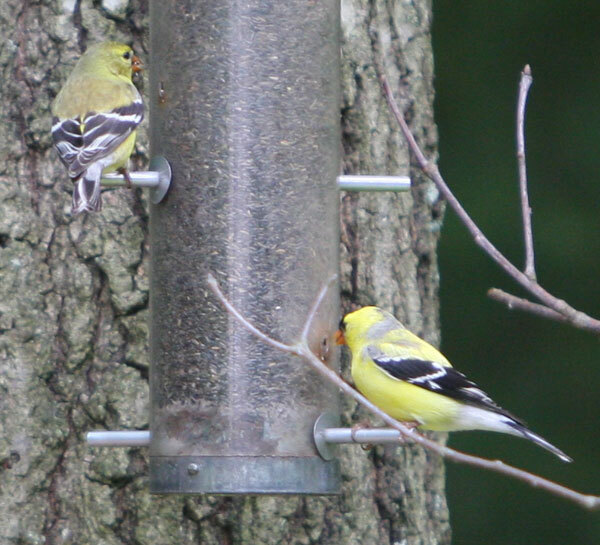 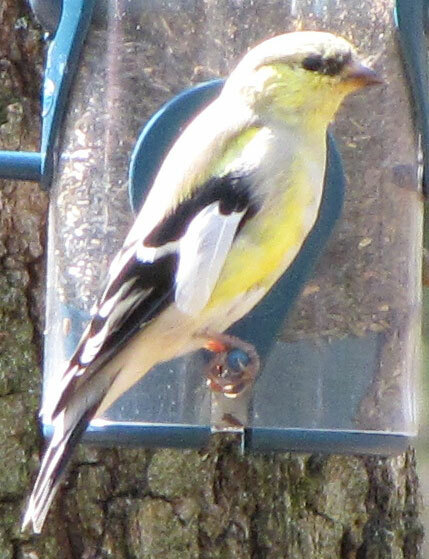 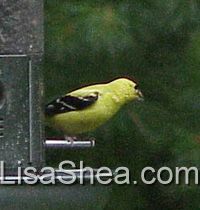 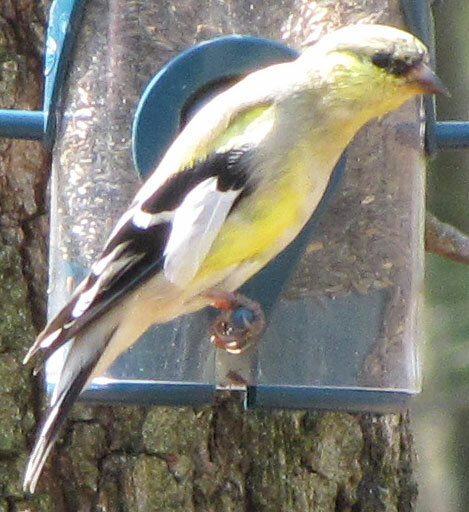 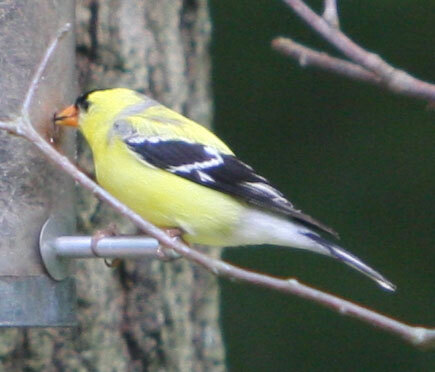 The American Goldfinch, Cardeulis tristic, is around 5" long and loves thistle and small seeds. 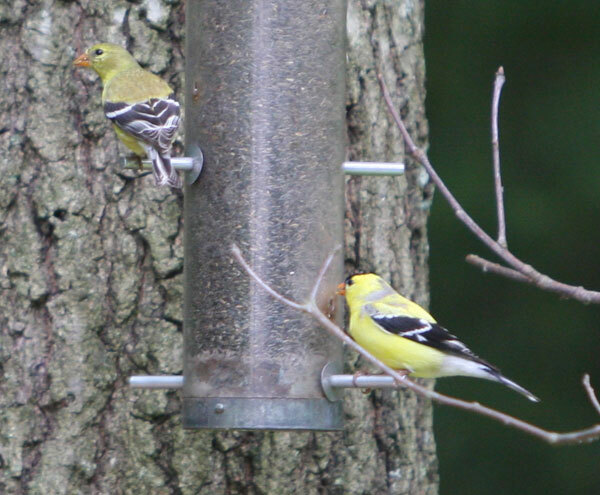 Here's a video taken in the summer in Sutton, which features a goldfinch!